At the start of second semester, a new policy was put in place regarding parking passes for students next year. In order to be able to purchase a parking pass for next school year, students can have no more than nine cuts this semester. One cut is considered an unexcused absence from one block. For example, missing an entire school day without parent’s excuse or doctor’s note would result in four cuts on their transcript. This new policy was set in place in order to encourage students to take accountability for their own academic success. While the school understands that there are a variety of reasons where students must miss school, they still maintain their position that if students are not in class they can not be learning. Another reason for this new policy is to make sure that there are enough spaces in the parking lot for students who are consistently at school and working hard in their classes. “I think that driving to school is a privilege, so it makes sense for the students who are always here to get the spots,” junior Allie Ontenada said. Because the parking lot does not have enough spaces for every student who wishes to drive to school, there needs to be protocol set for those who wish to purchase a pass for the upcoming school year. In previous years, parking spots have been given on a first-come, first-serve basis the day of registration pickup. Seniors were given priority and the remaining spaces were given to juniors. However, this policy was not taking into consideration disciplinary action and attendance of students. While the only official requirement to buy a parking pass for the 2017-2018 school year is to have less than nine cuts during this semester, if there is an increase in absences or disciplinary action next school year, parking passes could be revoked. 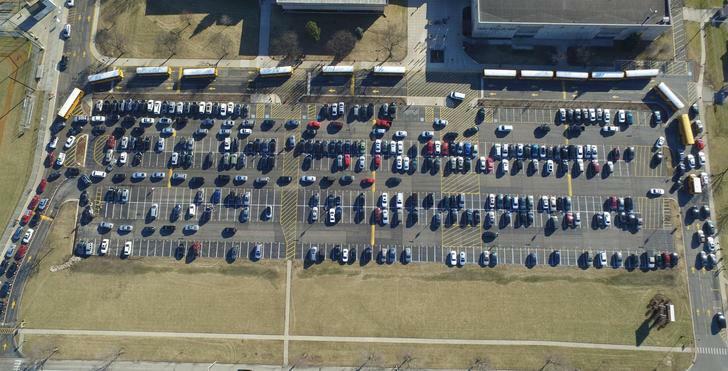 While this is not a solution for all student’s parking lot woes, enforcing this new policy attempts to make sure that those who are contributing positively to school get rewarded.